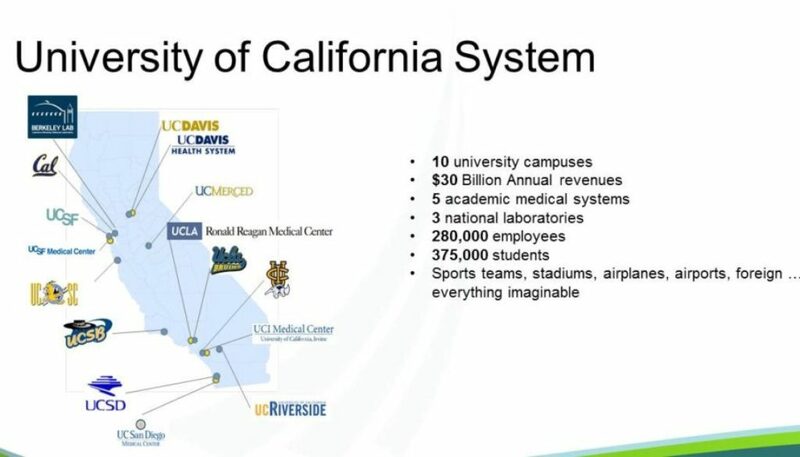 Ironically, one of the largest captive insurance programs in the United States serves the University of California system with its 10 universities, 5 medical systems and 3 National laboratories. The University of California Regents Captive Insurance Company, Fiat Lux Risk and Insurance Company has over $1.2 billion in assets and receives $980 million in insurance premiums annually from its institutions system wide. According to Courtney Claflin, who heads up Captive Programs for all UC institutions, “it’s a flippin’ gas.” He has saved the system millions of dollars annually and simultaneously provided more robust insurance coverage, including addressing unique and emerging risks like cyber liability. CIC Services, LLC recently attended the 2017 Risk Management Society (RIMS) Annual Conference in Philadelphia, Pennsylvania. CIC Services attends the RIMS conference every year to stay abreast of industry trends, new approaches to risk management and financing, emerging risks and political, legal and regulatory changes. This year’s RIMS conference had a session titled, “The CIC as a Hub for Your Risk Financing Program,” and its featured speaker was Captive Review’s Captive Professional of the Year, Courtney Claflin, Executive Director – Captive Programs, University of California, Office of the President. His presentation was outstanding and demonstrated the raw power of captive insurance companies to improve risk management, lower insurance costs, increase control, provide access to reinsurance, enable increased flexibility and provide additional strategic financial benefits. While this session was a case study for a large CIC program, mid-market and small companies can access the same benefits by owning their own insurance company as well. In fact, Congress has provided tax incentives to encourage the formation of CICs for small and mid-market businesses. For starters, Mr. Claflin pointed out that the entire University System continuously faces budget constraints with the captive playing an increasingly more important role in meeting funding challenges. The program insures approximately $50 billion of property, five medical centers, 7,000+ physicians, employees, campuses, sports teams and 80,000 registered student associations. Approximately $25 – $30 million in savings were generated in this past year with a goal to continue to add to that number with new risk financing arrangements. According to Mr. Claflin, “I don’t create the risk or manage the risk… I just try to finance it more efficiently.” The system wide insurance spend today is approximately 30% commercial insurance and 70% insurance purchased from the captive program with the ultimate design to move that gap closer. Another advantage of captive programs according to Mr. Claflin is access to reinsurance. In his words, “As an insurance company I get to shop at a completely different market than a traditional consumer… it’s the difference between buying wholesale and retail.” Fiat Lux also participates in quota share arrangements with casualty reinsurers which creates a strong alignment of interests with the reinsurers, resulting in more predictable and stable pricing arrangements. We all know cyber policies can result in less than perfect terms and conditions. They don’t cover everything and getting adequate limit can be a challenge. So we gathered our team and attempted to craft the perfect cyber insurance policy for UC and our exposures. We insured the first layer in our captive program and flew to London to shop it to reinsurers willing to back up the policy. The end result was extremely successful in that we got the terms, conditions and limits we were looking for. Other flexibility afforded by the University System Captive Program has been the investment of captive assets in a CIC portfolio. As an insurer, the CIC has been able to achieve returns on assets that are higher than the banking and trust programs used previously to finance the Universities risks. For this reason, he moved the banking programs and medical malpractice and worker’s comp trusts into the CIC program, boosting investment returns considerably. The future remains bright for the UC Captive Program as other exciting opportunities lie ahead. Because the captive program has built up reserves and can measurably track and predict losses, it is positioned for even more growth. Mr. Claflin stated that over 15 new risk financing arrangements are in development including employee benefits, student programs and warranty coverage on the system wide equipment and automobiles. Large enterprises aren’t the only one’s “having a flippin’ gas” owning their own insurance companies. Small and mid-market companies can significantly benefit from financing their risk in a captive insurance program. CIC Services manages over one hundred captives serving small and mid-market businesses.